Former Manchester United trainee Robbie Savage believes Liverpool should give under-pressure head coach Brendan Rodgers another 12 months to prove that he is the right man for the job. 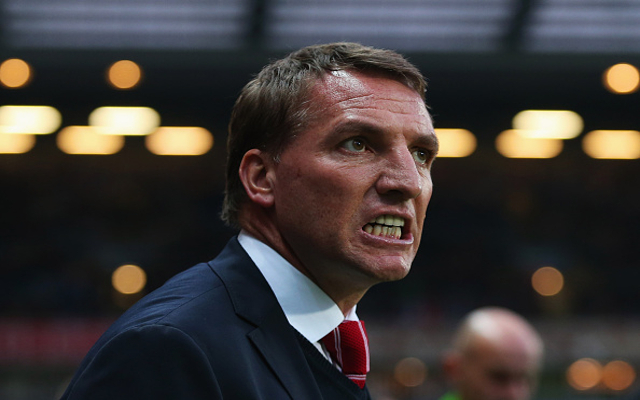 Liverpool squad assessed: who should Brendan Rodgers keep and get rid of this summer? The ex-Wales international thinks Rodgers’ players have demonstrated an alarmingly weak mentality in the more high-profile fixtures this term, which has culminated in a premature exit from the Champions League, semi-final defeats in both domestic cup competitions and a fifth-place standing in the Premier League table. Liverpool are outsiders to claim a top-four finish this time around, just a year after coming within a whisker of winning the title, and Savage told the Daily Mirror that it is down to Rodgers to work out why the Merseyside outfit have fallen short at crucial times, although he deserves longer in the role. Rodgers is yet to win a piece of silverware in his managerial career and, and the loss to Villa condemned the Reds to another season without a trophy. The Northern Irishman is likely to be active in the transfer market this summer in an effort to get his squad back up to scratch for the 2015-16 campaign.